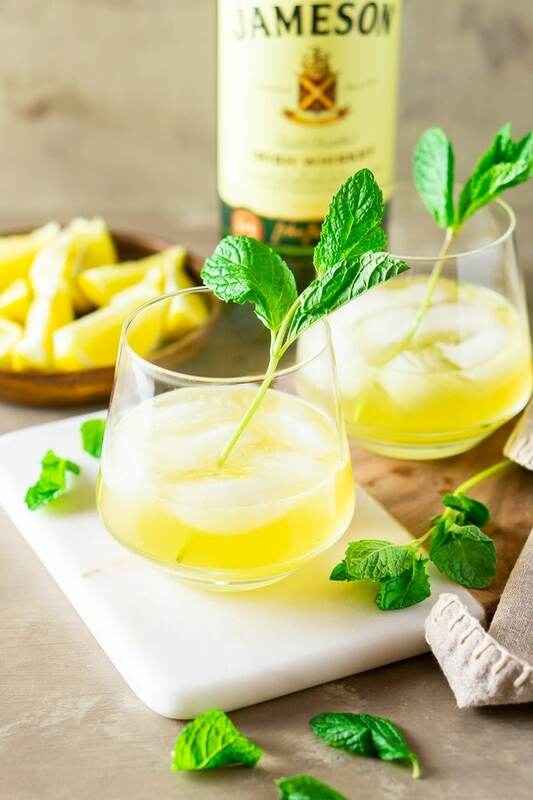 St. Patrick’s Day is creeping up on us, and it is such a festive day that needs a good whiskey cocktail. St. Patrick’s Day is celebrated March 17th and I think it’s the perfect day for a round-up of refreshing whiskey cocktails that is sweet, fresh, sour, or coffee infused! Spring is here, and we’ll leave all the delicious apple cider, salted caramel and chocolate cocktails for Fall and Winter. Now it’s all about classic Irish cocktails and fresh Spring and Summer flavors. We have the classic Irish coffee because we love coffee and hey, it’s the most iconic Irish drink, don’t you think? Whiskey or bourbon is the heart of all these recipes, and I hope you’ll enjoy them. Put your greenest shirt and party hat on and give these delicious whiskey cocktails a try! Not much can compete with a thick ginger syrup, honey and tangy lemon to go with whiskey. It’s such a sweet and sour drink that I think is both perfect for Winter AND Summertime. It’s almost like a remedy for a cold, but also for heatwaves. 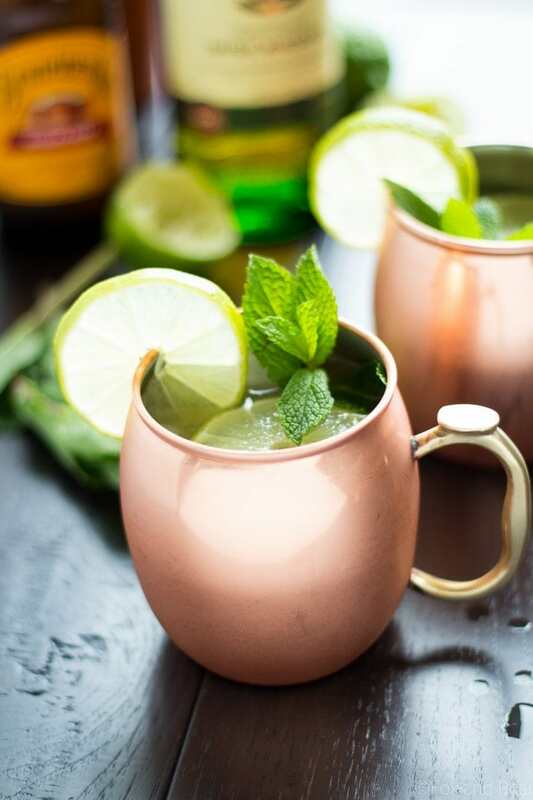 The Irish Mule is a refreshing cocktail made with ginger beer, lime juice and whiskey. This is also the perfection of a sweet and sour whiskey cocktail. Summery fresh ginger beer and lemon juice makes this drink perfect for the upcoming sunnier months! 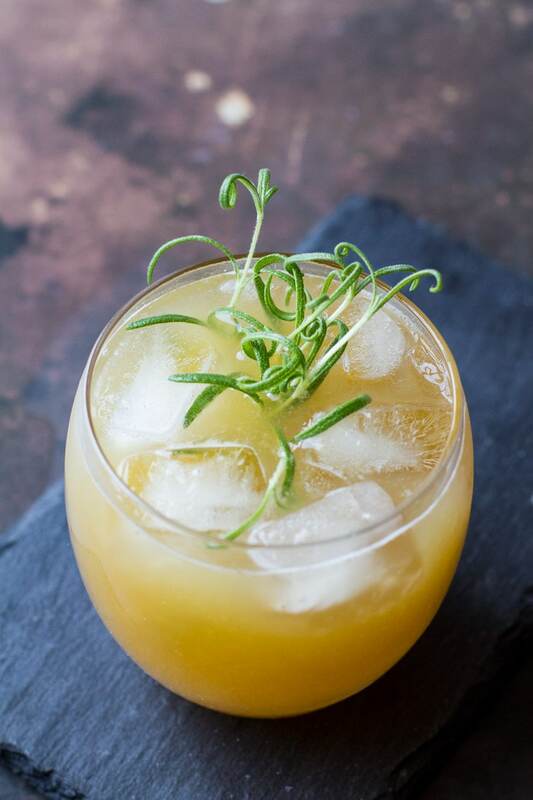 Lemon and rosemary is a match made in heaven, it works perfectly in both sweet and savory dishes, and also in this fabulous fresh Summer drink that really works all year around. 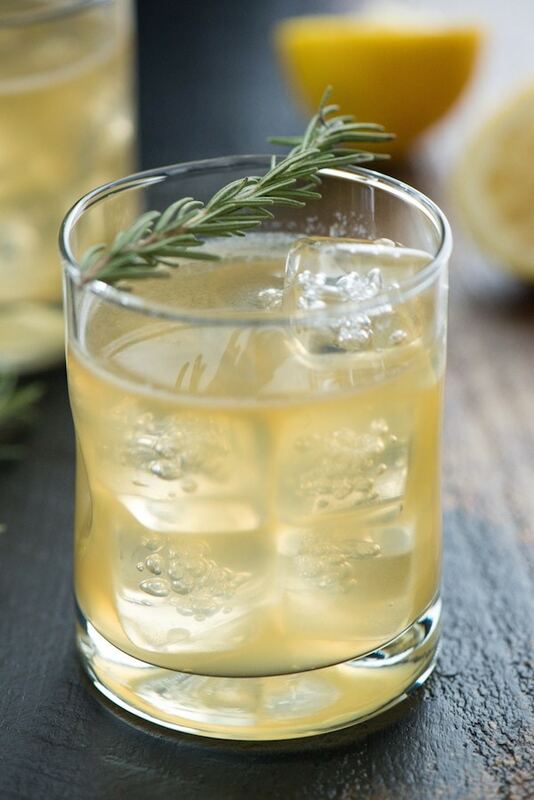 The herby flavor of rosemary works so well in whiskey cocktails and gives an amazing aromatic zing. 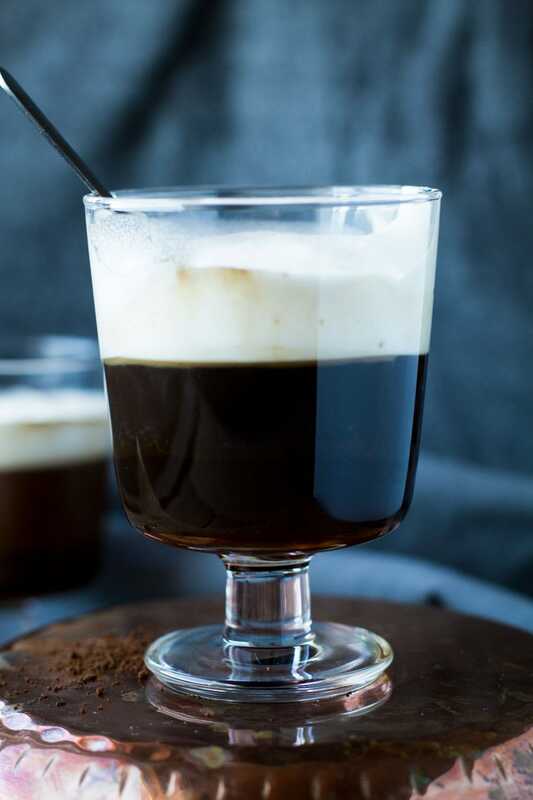 We couldn’t just walk past the creamy dreamy Irish coffee in this whiskey cocktails recipe round-up. There are 2 reasons for this. 1. It’s one of Ireland’s greatest inventions. 2. It’s simply delicious. You cannot go wrong when you add sugar, coffee and cream to whiskey! This sangria screammms Spring, don’t you think? The green color is perfect for both St. Patrick’s day, but also Spring in general. 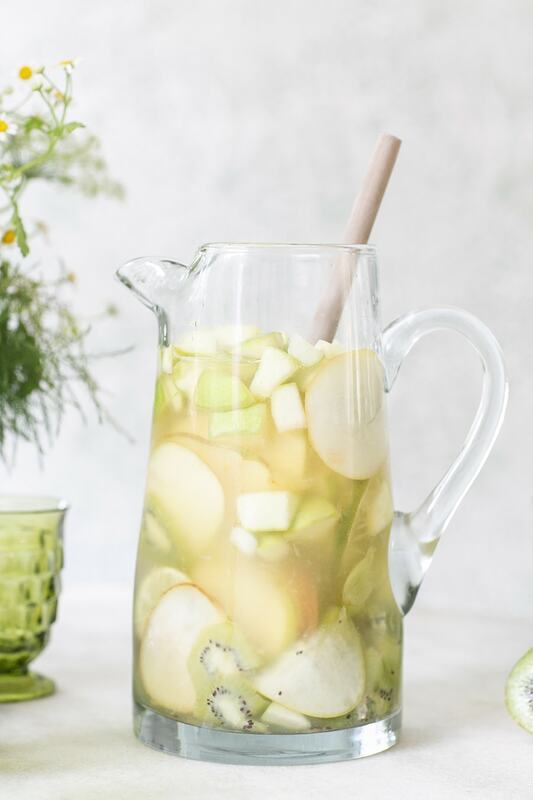 It’s filled to the brim with apples and pears, grapes and kiwis, and can one really ask for more in a refreshing drink? Yes – add whiskey! This whiskey cocktail is perfect for me and this blog! As you may know, the name Ginger with Spice is a play both on my red hair and the fact that ginger is the greatest thing in the world. And to celebrate our redhaired Irish friends we serve up this fantastic sweet and sour drink. Fruity cherry, fresh mint and sour lemon makes this drink a perfect Spring and Summer cocktail. 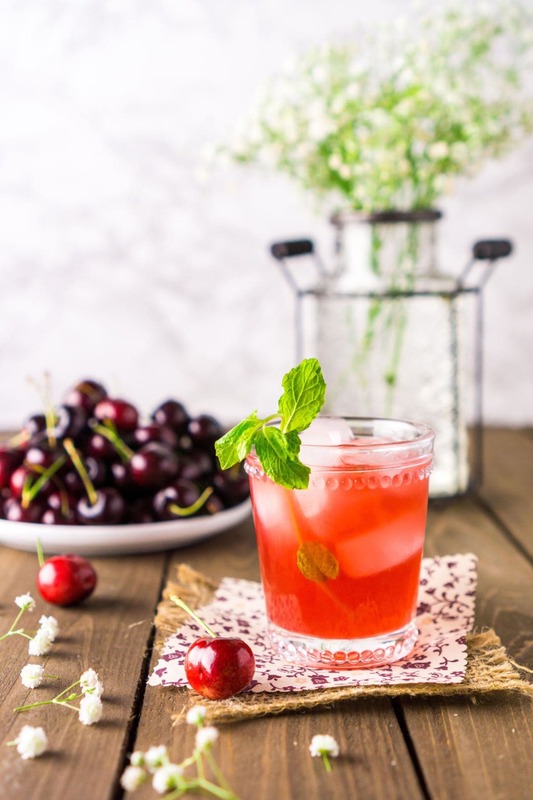 And if you want you could even make your own cherry infused bourbon to easily make a bunch of this deliciously fruity whiskey cocktail during the Summer months. Also important to include the classic whiskey sour that is super simple to make and with minimal ingredients. It is sweet, it is sour and let’s be honest; it’s kind of strong. 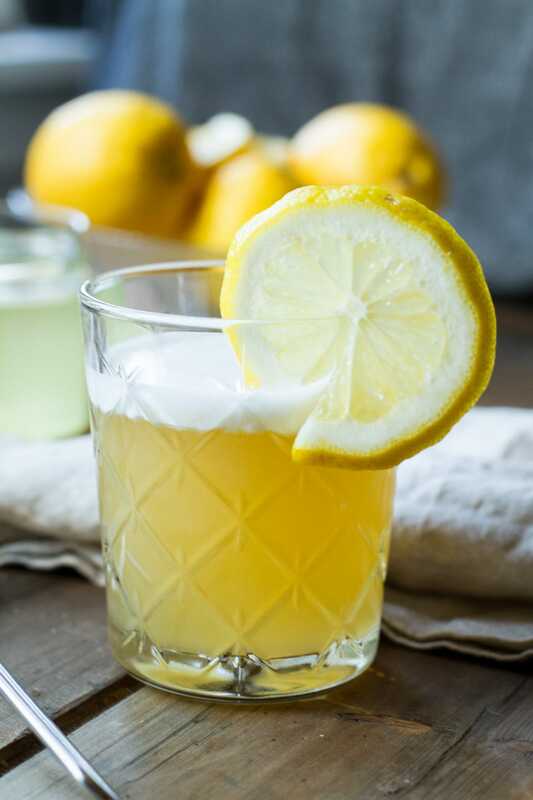 This whiskey sour is the perfect blend of lemon, sugar and whiskey! 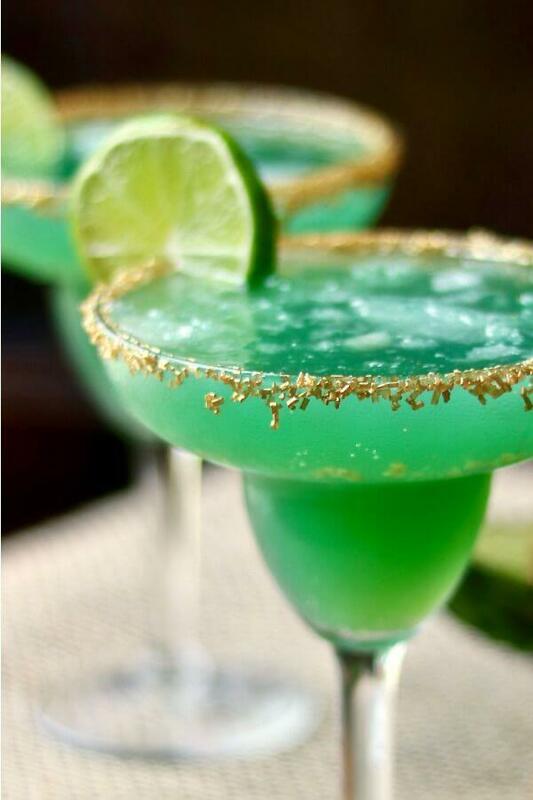 This green cocktail will definitely be a show stopper at your St. Patrick’s Day party! 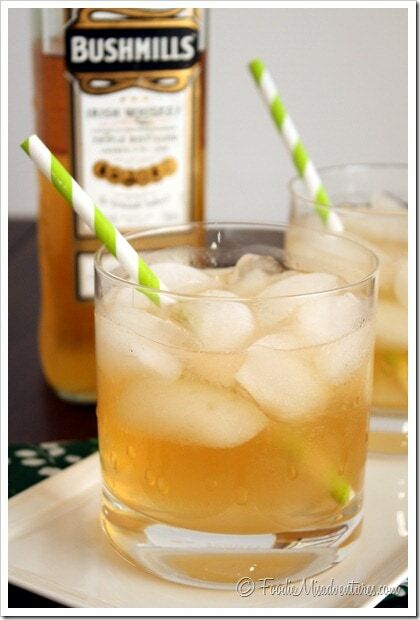 The Irish margarita is a fruity and sweet whiskey cocktail that is perfect as a Spring or Summer drink. It’s got tropical flavors of pineapple and peach and I can just taste Summer getting closer. Who else loves the name of this cocktail?! 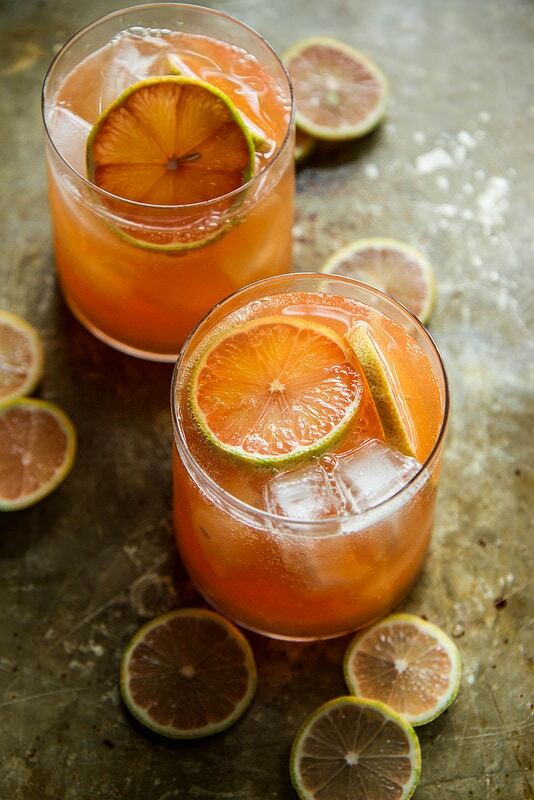 This whiskey cocktail is made with refreshing ginger ale and bitter grapefruit and a touch of sweetness from honey. This is a perfect combination between spicy, sweet and bitter! Bright mint and tart lemon makes this whiskey smash a perfect Spring drink. Fresh herbs gives exciting aromatic pizzazz to any cocktail, and mint is one of my all time faves. Perfect just in time for early Spring and St. Patrick’s Day! Sometimes a drink can benefit from a bitter element, and this drink definitely does so. So take advantage of the citrus season and make a delicious grapefruit whiskey sour for St. Patrick’s Day. And just look at how gorgeous it is, I mean, you could impress anyone with this! Which one is your favorite? Have I missed any? Wow, your pictures are truly stunning. 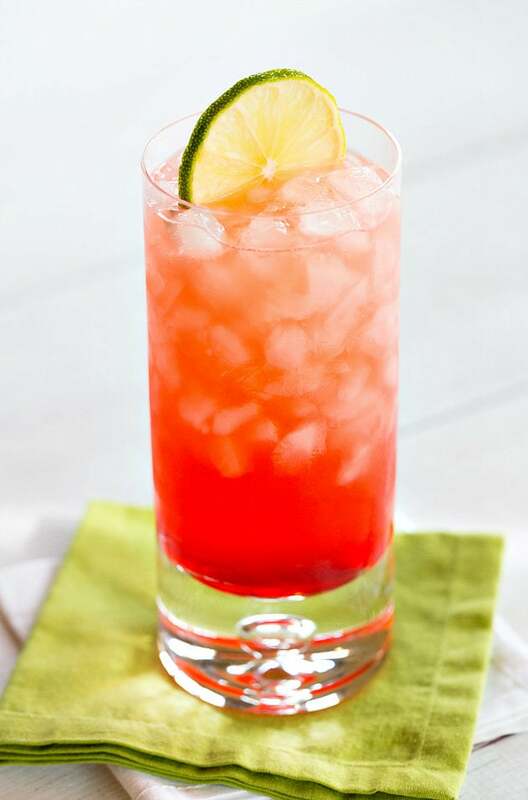 Thanks for sharing this superb list of refreshing cocktails! Not all these are mine, but I only pick the best! Thank you! Omg i am not a whiskey fan but you just made everything look and taste so good that i might have to try it. Thank you so much! And if you don’t want to use whiskey you can try tequila or rum too. Ill take one of the rosemary lemon bourbon, wow that sounds incredibly delish and looks it too! OOO Irish Mule looks so good! I love Moscow Mules, so this would be a fun twist! Moscow Mule is one of my faves too! What a great roundup! So many delicious recipes that I’ll definitely be making beyond St. Patrick’s Day. Thanks for sharing!